Below are the classes for 8 to 10 year-olds. The easiest way to fill out the Registration form is to check out the class descriptions on this page, choose the one(s) you would like to register your child for, and click the red button. When you land on the Form page, find the box that corresponds to the class and "check it". We will know, by your child's age on the form, where to reserve a space. [ Ages 5-18] | Gymnastics is one of the best choices you can make for a young child. Did you know that gymnastics develops 26 multiple intelligence factors in children? The benefits are tremendous. It’s an “all body” sport that develops muscle memory, strength, flexibility, balance, coordination and much more. Students learn our gymnastics class format, physical conditioning, skill progressions and development. Our curriculum is action packed, time tested and effective. Every warm up, drill or method has a specific goal. Our instructors carefully breakdown new skills so students can practice safely. Each student will learn from group and individual instruction. . Our experienced and trained instructors will demonstrate and spot students to enhance maximum success. We remind parents that students’ progress on his/ her own time table. Please do not compare your child’s ability or progress to other students. Each child progresses due to several factors like, age, experience, body readiness and practice. Keep in touch with your child’s feelings about the classes, are they having fun, being inspired by the instructors, enjoying their peers? Though our classes are for students only we invite parents to communicate with us anytime about their child’s progress. Dress Code: Students will need to purchase gymnastics shoes ($22), available at the studio. Sizing for shoes is offered at Open House or before or after class. Wear non-restrictive clothing and fitted top. Go to form and check it! [Ages 7 & Up] | Tap dance is a form of dance characterized by using the sounds of tap shoes striking the floor as a form of percussion. Students will learn basic tap skills and combinations that can progress with time and practice. Tap is a fun and energetic class and works well for students who enjoy moving a lot. Tap can enhance student’s rhythmic abilities and benefit them in future dance classes. Dress Code: Students will need to purchase black or tan tap shoes. Instructor will specify the color at the first class or at open house. We have shoes available at the studio or they can be ordered. Sizing for shoes is offered during our open house or before and after a class. The cost of shoes is $35. 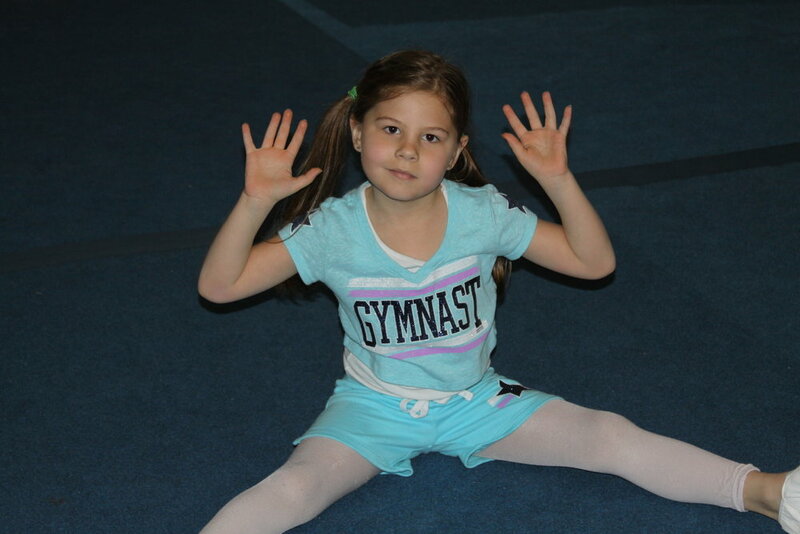 [Ages 7 & Up] | We offer more advance gymnastics class Tumbleweeds and Mat Mystics. Students are placed in these classes at the instructor’s discretion and/or a tryout. There is a predetermined skill list that must be mastered to be considered for these classes. [Ages 8 & Up] | Baton Twirling encompasses the manipulation of a metal rod (baton) and the performer’s body to a coordinated program of skills set to music. The class is action packed working on parade drills, twirling skills and dance twirl combinations. Students learn the importance of focus and discipline. Many physical attributes are enhanced from eye hand coordination, speed, fluidity, strength, flexibility, balance and coordination. Ms. Brenda grew up twirling batons, twirled competitively and in college. Brenda teaches the classes and has quite the passion for the program. Dress Code: Students will need to wear a leotard and shorts, and purchase tan jazz shoes and a baton. Merchandise is available at the studio. Sizing for shoes and baton can be done during our open house or before and after a class. The cost of shoes is $35, baton is $35. Jazz is one of the most enduringly popular dance classes around. Jazz Pizzazz is jumping, bouncing, high kicks and high energy. Technique is the foundation for all dance movement. Students will work on acquiring strong technical skills. This class really encourages individual expression and enables dancers to focus on the stylistic and performance aspects of dance. We use all types of music from pop, to hip hop, movie sound tracks and more. We will explore traditional jazz, Broadway style and some basic lyrical jazz. Our routines, music and costuming are all age appropriate. This class will equip students to succeed in our advanced classes as they come of age. Dress Code: Students will need to wear black jazz pants and fitted top, and purchase tan jazz shoes. We have shoes available at the studio or they can be ordered. Sizing for shoes is offered during our open house or before and after a class. The cost of shoes is $35. [Ages 7 & Up] | Ballet is a wonderful activity at any age for strengthening the body, increasing flexibility, emotional expression and spending time with friends. 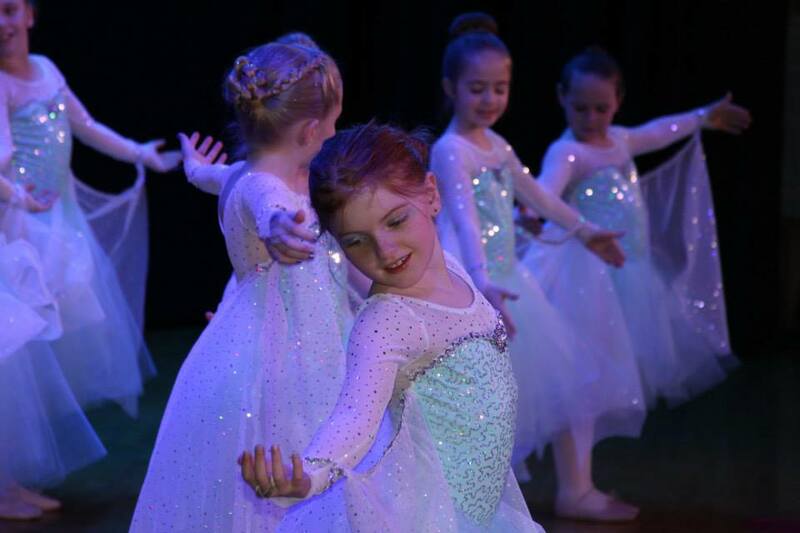 Our recreational program offers students an opportunity to experience ballet in a creative and fun environment. Students learn all the fundamentals of ballet and can progress with complexity with time and practice. Our ballet program uses the Vaganova method of teaching classical ballet which acknowledged all over the world as the foremost training syllabus of the classical ballet. Dress Code: Students wear pink tights, leotard, skirt and pink ballet shoes. Hair must be in a ponytail or bun. Shoes are available at the studio ($35) and may be sized and purchased during open house or before and after a class. [Ages 8 & Up] | Boundless Energy is a dance group perfect for those who want to explore life and dance experiences through unique travel and performance opportunities. This group is for serious dancer/ athletes who enjoy intense physical training and frequent practices. Members of this group are chosen from a tryout, audition and/or may be appointed at the director's discretion. Boundless Energy travels every two years allowing time for fundraising and elite performance preparation. The growth our dancers receive from this program is outstanding. This is an investment of energy, time and money and these factors need to be strongly considered before embarking on this dance journey. 2018-19 is a non-travel year and we will be adding new members to our team. Boundless Energy is a family affair and parent involvement is strong and necessary. We offer a complete packet of information for interested students at our workshop to recruit new students (Watch our announcement bar for upcoming dates). [Ages 7 & Up] | Sportaerobics or Aerobic Gymnastics is a sport originating from traditional aerobics in which complex, high-intensity movement patterns and elements of varying difficulty are performed to music. Sportaerobics is a signature and award-winning program at BBS. Brenda spent 10 years coaching competitive teams, earning over 25 national titles and in 2003 winning a world title for teams ages 8-10. The training has inspired many students who went to seek careers in health and fitness. Sportaerobics is fun and upbeat, the perfect class for students who love to move. After each class you’ll greet your child flushed face and dripping with sweat. The format is face paced and challenging. Our program has levels and students start with basic skills and combinations which build in difficulty and complexity. Sportaerobics using various strength and flexibility elements that can be found in a gymnastics class. There are jumps, floor work and quick moves making it exciting to perform and watch. Classes spend the first part of the year learning and refining skill before working together of a group routine that will feature each student’s strengths. You will be amazed just how many moves can be choreographed in a sportaerobic dance. The format of this class enables us to offer classes to a broader age range. We offer two recreational classes ages 7-10, and 11-18. If you think you have what it takes and are interested in extreme challenges, pursuing life experiences, travel and increased performance opportunities you may want to consider our Boundless Energy Sportaerobic Team. Dress Code: Students are to wear a fitted top and shorts or warm up pants. Clean tennis shoes are required for class participation (do not wear street shoes). Type of shoe needed for the recital will be announced with costume information. [ Ages 5-18] | Our curriculum is action packed, time tested and effective. Every warm up, drill or method has a specific goal. Our instructors carefully breakdown new skills so students can practice safely. Each student will learn from group instruction and individual instruction. Our experienced and trained instructors will demonstrate and spot students to enhance maximum success. We remind parents that students’ progress on his/ her own time table. Please do not compare your child’s ability or progress to other students. Each child progresses due to several factors like, age, experience, body readiness and practice. Keep in touch with your child’s feelings about the classes, are they having fun, being inspired by the instructors, enjoying their peers? Though our classes are for students only we invite parents to communicate with us anytime about their child’s progress. Dress Code: Students will need to purchase black gymnastics shoes ($22), available at the studio. Sizing for shoes is offered at Open House or before or after class. Wear non-restrictive clothing.